Merrick, NY—So far, the holiday season is shaping up to be a very strong one for luxury jewelers. For the second week of the season (December 4-10), fully one-third of respondents to The Centurion Holiday Sales Success Index reported sales gains of more than 10% over last year’s figures for the same timeframe. In total, 59% of respondents reported sales gains of some measure, whether modest (15.3%), moderate (10.3%) or significant (33.3%). 12.9% said sales for the second week of the season were even with last year, and 28.1% said sales are down from last year. 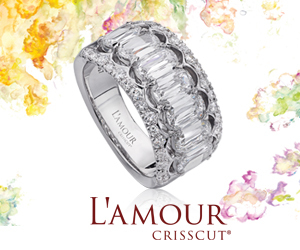 Not surprisingly, the big seller is diamonds, diamonds, diamonds: 84% of all respondents cited diamonds as their top-selling category. This included large loose diamonds, engagement rings and other bridal jewelry, diamond fashion, diamond earrings (especially studs), and more. 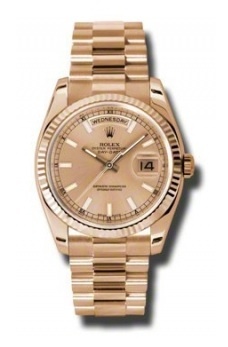 For watches, the ever-popular Rolex was a best-seller for 16% of respondents. Other brands cited as best-sellers so far included Tag Heuer, Breitling, and Patek Philippe. Despite cellphones, Rolex remains a very popular gift. Heritage designer brands like Roberto Coin, David Yurman, Lagos, and John Hardy topped the list as best-selling items for 10% of respondents, while 15% of respondents cited modern and boutique designer brands such as Todd Reed, Lika Behar, Sethi Couture, Vahan, and Alex Sepkus as their best-selling products so far this season. 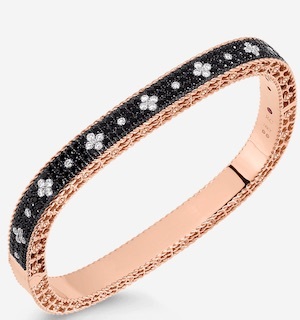 Above: Roberto Coin slim Princess bangle in 18k rose gold with black and white diamonds. MSRP, $9,000. Below, left to right: 1. "Amanda" pendant with diamonds in oxidized sterling silver and 24K gold, MSRP $1,980; Lika Behar. 2. 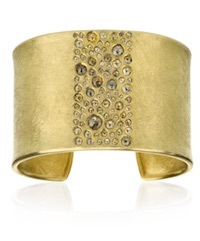 Todd Reed rose cut diamond cuff in 18k gold, MSRP $35,640, by special order. 3. 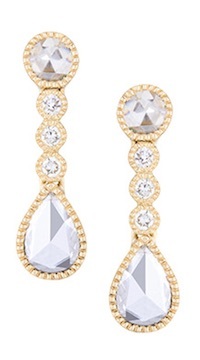 White rose cut and pear shape diamond drop earrings in 18k gold, MSRP $3,850; Sethi Couture. 4. 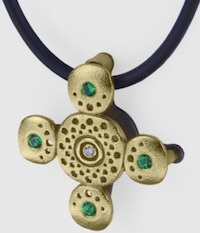 18k gold, silver, tsavorite and diamond "Circle" cross pendant, MSRP $2,070; Alex Sepkus. 5. 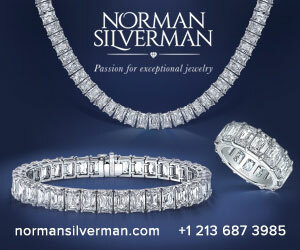 A stack of signature Vahan bracelets. In the broader retail picture, the woes of U.S. department stores have not dimmed the luster of luxury products. A recent report in Luxury Daily says luxury sales in the United States bounced back after a rough year, and grew 15% over the Thanksgiving weekend, including Black Friday and Cyber Monday. Luxury marketers are benefiting from growth in China and online sales, with the last six months seeing significant growth for many brands such as Tiffany & Co., Burberry, and Hermès.